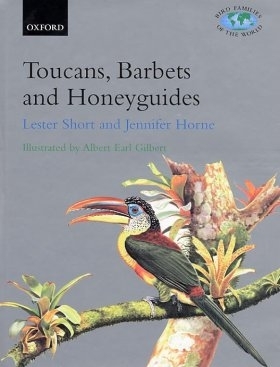 This book covers in unmatched detail the life history, relationships, biology and conservation of all the world's toucans, barbets and honeyguides. These number 133 species, found in tropical regions around the world. The toucans are especially well-known, on account of their dramatic bills and their association with the Amazon rainforest. The authors have been working with these birds for over 20 years, and their knowledge and expertise in these groups is unrivalled. Much of the information in this book has never been previously published. The colour plates, painted by Albert Earl Gilbert, are probably the best paintings of these birds ever produced.